Are your customers getting frustrated when they are greeted by your auto attendant? Are they hanging up the phone before leaving a message or listening to the options? If so, you might want to consider tweaking your auto attendant settings. Here are three common auto attendant issues and tips for making a better first impression with your customers. Small business owners often set up their auto attendant with options like: Press  for Suzy, the President, Press  for Mike, Press  for Mary. Press  for Accounting…Press  for Jake. Callers to your company’s main phone line typically won’t know who they want to talk to by name, but do know what they want to talk about – Hours, Technical Questions, Returns, etc. By thinking about your company from what roles your employees function within, you’ll be able to decide who can best handle calls in these areas and then route callers accordingly. Endless options aren’t ideal for good customer service either. Prioritize by the number of calls received for each function in your organization and then set up your auto attendant so that the most frequently called options are first. Excessively loud music while the customer holds on the line. 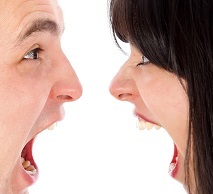 Out of control volume on music or shouting advertisements can cause friction with customers. Keep music subtle and make sure the choice of music reflects your company’s brand and image. If you’re a massage studio, consider adding tranquil tunes with quiet nature sounds. For a surf shop, the Beach Boys might be appropriate. However, it is very important to note that not all music is fair game – you may need to seek permission to use certain musical works. Make sure you find out before you use it as part of your virtual phone system. If you decide to have recorded voice messages for your “on hold” time, make sure the information that you are sharing is relevant to your callers. For example, consider providing alternative ways to get in touch with your organization, such as via the web or email, if the wait time becomes too long for your customer. Making customers listen to the entire line-up of 43 choices and then only giving the press [*] for more options or to begin the list again. Customers need an opt-out option. Assuming that you’ve set-up all of the above mentioned auto attendant features correctly, sometimes your customers need assistance. They may not understand how their question or need falls into the predefined options. You customer service skills can shine by allowing customers to reach a “real” person at any point. While it might be a minor inconvenience, helping customers, even if you’re not exactly who they need will be rewarded with increased customer loyalty. And, you have all of the other helpful Halloo phone system tools to get the customer directly quickly and appropriately! Organizing your team into key function areas. Logging into My Halloo and setting up each function or department as a group. Then, assigning users (employees) to those groups. Adding hunt group features so that additional routing is done automatically if someone is away from their desk. Have an auto attendant tip that is not included above? We’d love to hear it. Please feel free to add it to the comment section below. This entry was posted in Auto Attendant, Halloo and tagged first impressions by Jim Li. Bookmark the permalink.